This makeup look is my interpretation of bold and innocent combined together. 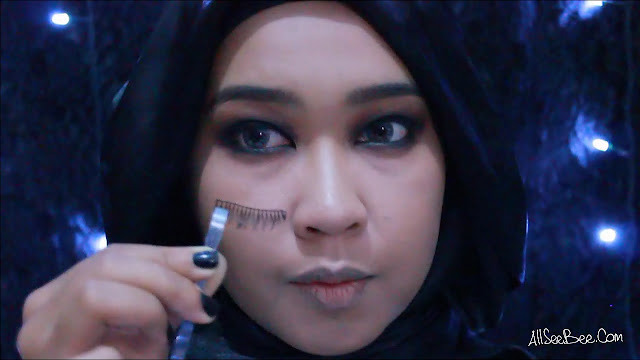 Oh yeah, before you watch the video, I want to tell you about the story that inspired me to create this makeup look. 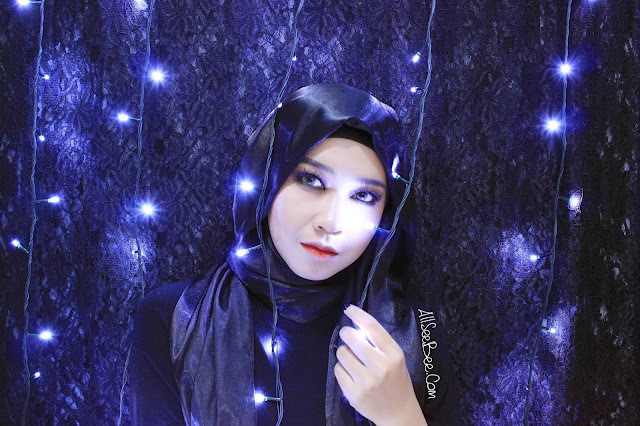 I, actually want to create a makeup that was inspired by Webtoon comic, Noblesse. So, I want to create two different makeup looks that represent the vampire as the Nobles and the Nobles' traitor. I supposed to use a red contact lens, but, it turned out the red contact lens that I have, was uncomfortable! Like, seriously, I put the contact on and my eye was feel heavy and the tears kept coming out. Also, when I tried to take off the contact, I was a little bit panic because it was so difficult! I can say that I know contact lenses that comfortable and feel good, and that red one is the one that I will never use ever again. 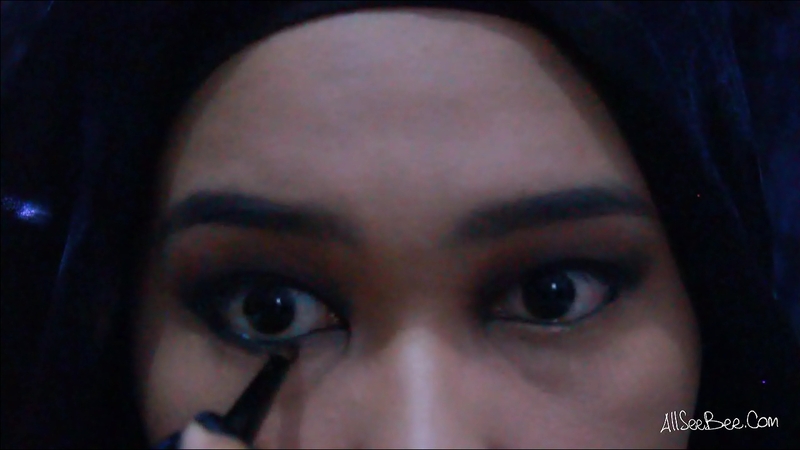 So, because I can't use the red contact lenses, I used my comfortable-grey-contact-lenses that I have at the moment and the makeup look became the 'Bold Innocent : Black Smokey Eye Makeup'. 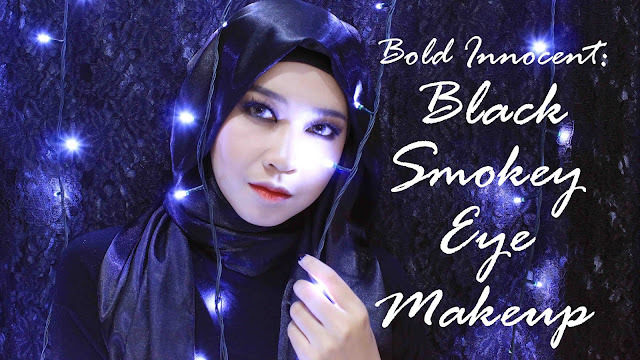 I think that this makeup look is the combination of bold and innocent. Bold represented by the black smokey eye makeup and innocent represented by the red ombre lips. Here is the video. 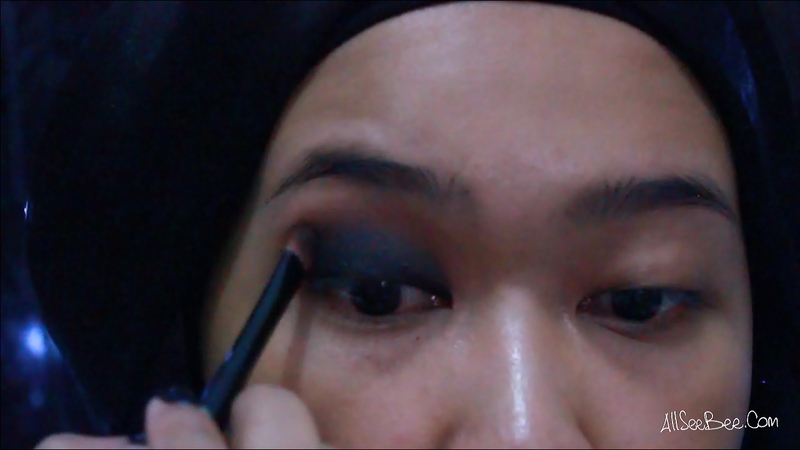 I kind of messed with the video because I forgot to change the white balance.. hahaha.. so please bear with the blue-ish color during the video..
- Apply matte light brown eyeshadow with a blending brush on to your crease area. In this tutorial, I used light brown powder blush that I usually use to contour my cheeck and nose, that is LTPRO Powder Blush PB08. - Apply matte dark brown eyeshadow with eyeshadow brush on to your crease area. 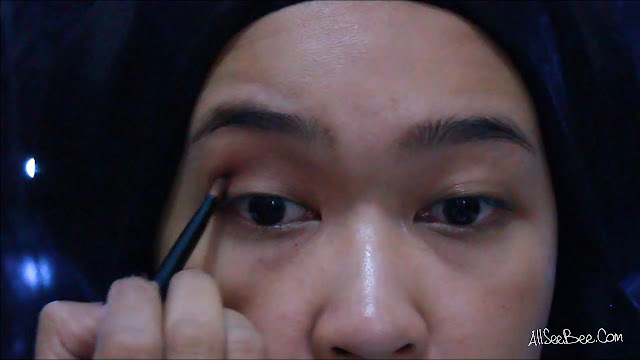 I used LTPRO Perfecting Eye Color EM 04. - With black pencil eyeliner, apply it on to your eyelid up to the crease area. 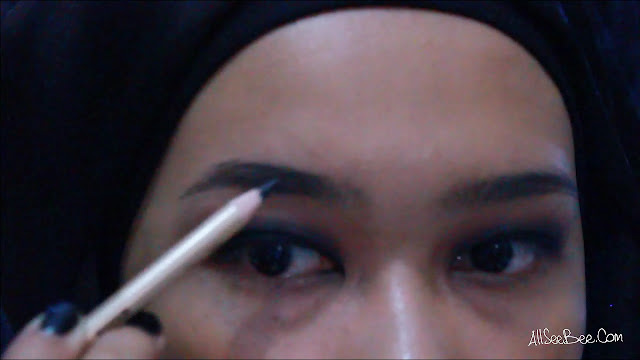 This will be the base for the black eyeshadow. 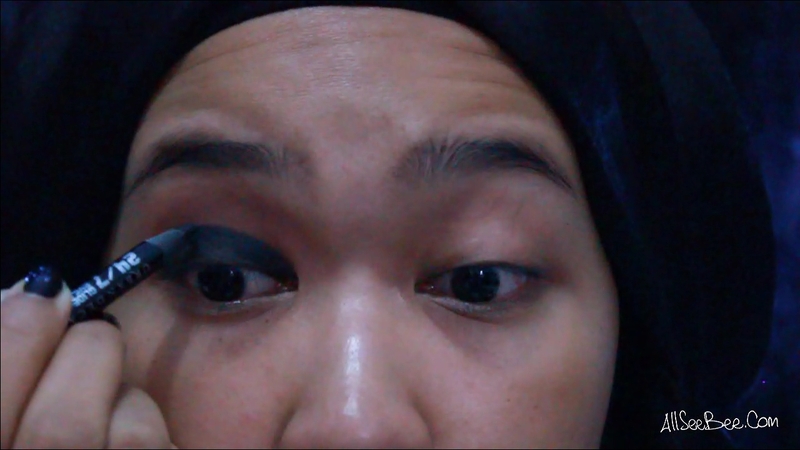 Here I used Urban Decay 24/7 Glide On Eye Pencil in Zero. 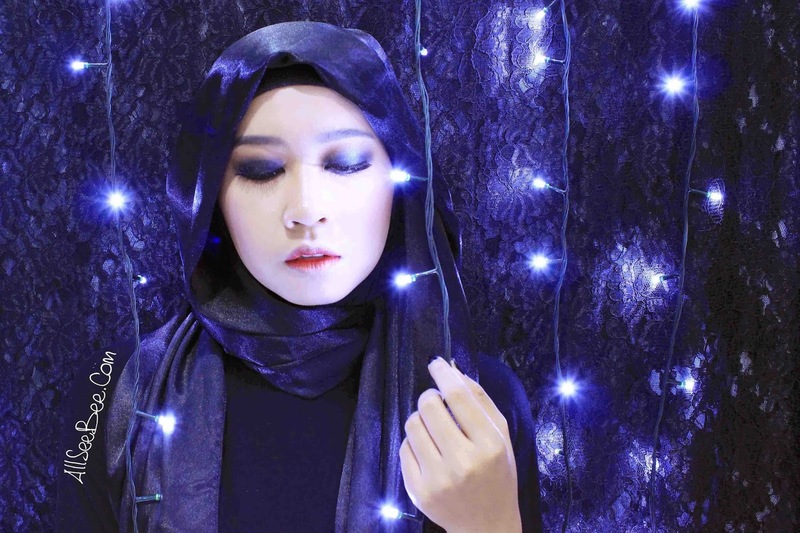 - Set the black eyeliner with black eyeshadow and blend it out up to your crease area. Here I used black eyeshadow that came in Sariayu Eye Shadow Palette 25 Best Choice Colors. 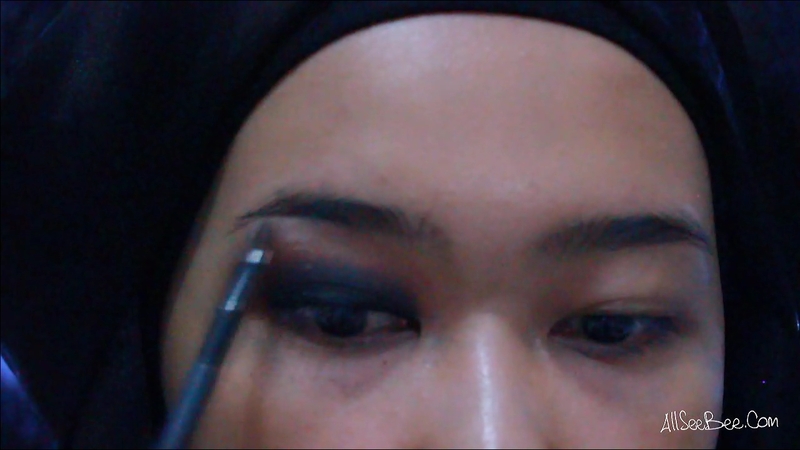 - Blend the hars edge of the black eyeshadow with dark brown eyeshadow. - Give a little highlight on to your brow bone with a matte white-creme eyeshadow. I used Bleach from Urban Decay Shattered Face Case. 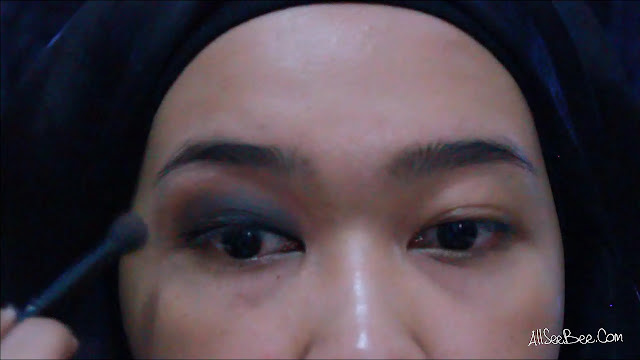 - Then I blend out the area between the brow bone and the crease area with matte light brown eyeshadow. - Fill in or shape your eyebrow with a black eyebrow pencil or match your eyebrow color with your hair color at he moment. I used Sariayu Pensil Alis Pro in Black. - Line your water line with black pencil eyeliner. 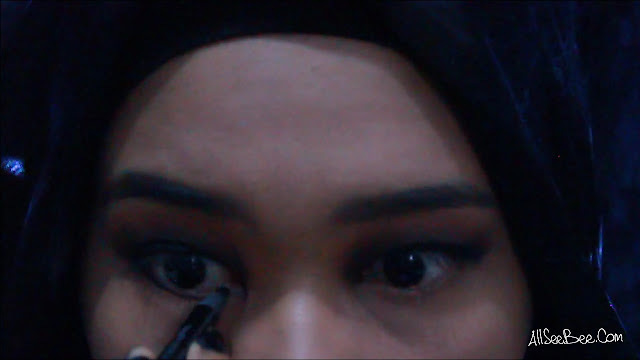 - Apply black eyeshadow on to your lower lash line. 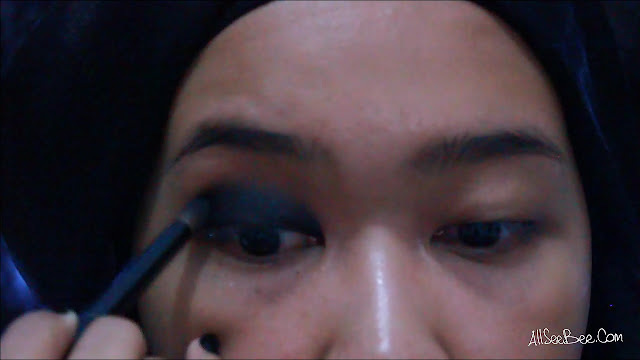 - Blend the harsh edge of the black eyeshadow with matte dark brown eyeshadow. 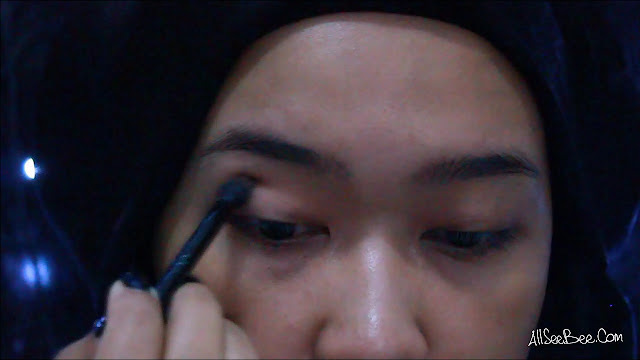 - Curl your lashes and use false lashes that have more length in the center. I used Elise 6448. - Apply mascara on to your both upper and lower lashes. This is how my eye look like. This is how my whole face look like. Thank you for reading my tutorial and watching my video.